Hello everyone! Sorry, I've been MIA the last few days. I've been extra busy with creating and printing 200 Save the Date magnets for a wedding ensemble. The bride-to-be wants fans for the wedding program so I need to get busy and start designing a sample. 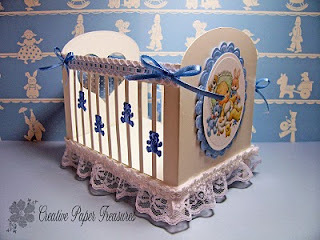 Also, I received an order for a Cherub Cot for a baby shower gift. The purchased the pattern from Arty Farty Designs Ltd in England here. 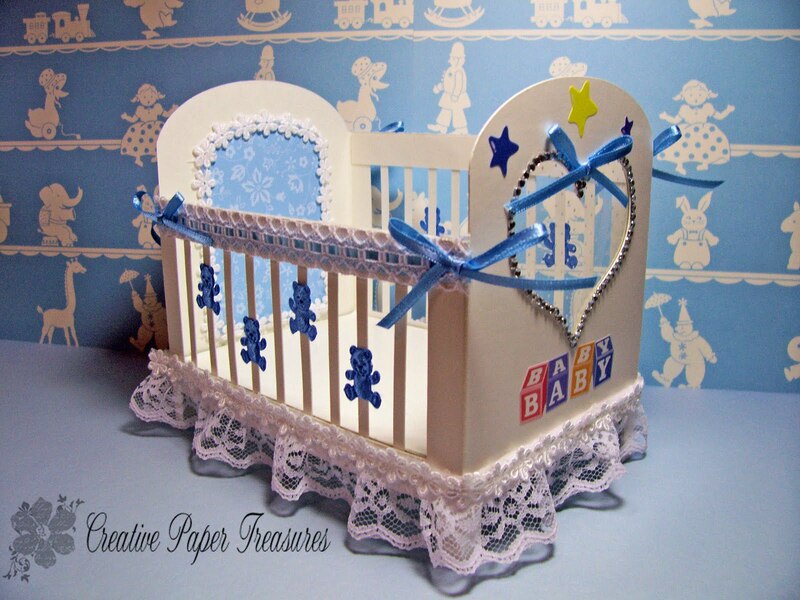 The crib and box are cut using the white backing sheets from Stampin Up designer series paper. What a great way to recycle those sheets. I used Bashful Blue designer paper for the inside end piece trimmed with white flower braid I found at JoAnn Fabrics. The heart is covered with a piece of white polka dot from Stampin Up Clearly Thanks window sheets. 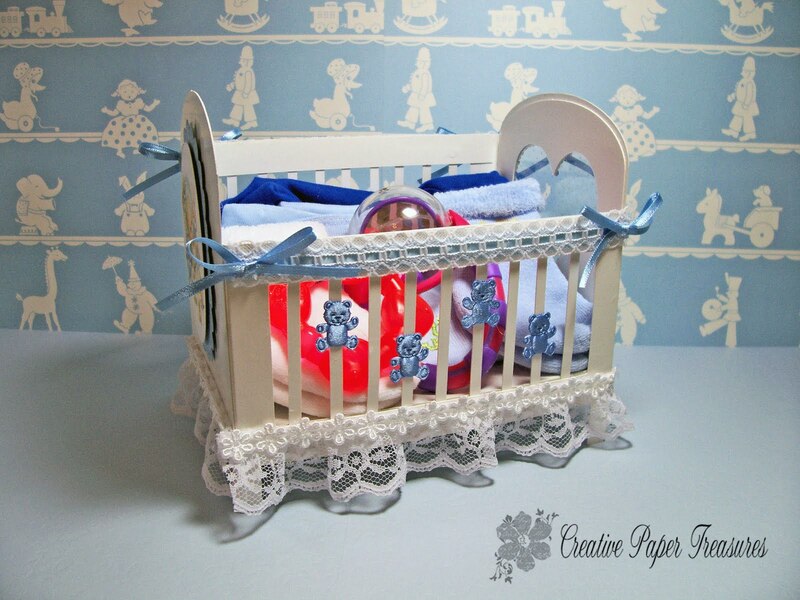 The stickers, teddy bears, lace and ribbon are from my stash. 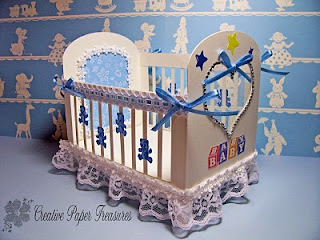 The picture on the end of the crib is a digital print I found on the interent. 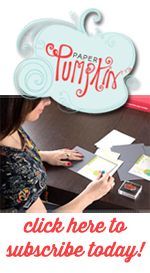 I used Spellbinders oval and scallop die to cut and emboss the ovals and popped them up with dimensionals. Since this was a last minute request, I had to run out and purchase some baby items so I didn't have time to stamp the onsies myself. The picture on the right shows the crib filled with a couple of onsies, two pairs of little socks, a rattle and teething ring. This crib can be filled with just about anything. Make it a bath time theme with wash cloths, bar of soap, squeeze ducks, shampoo, etc. or fill it diapers, baby powder, a changing mat. Let your imagination go wild. On the left is the finished gift. 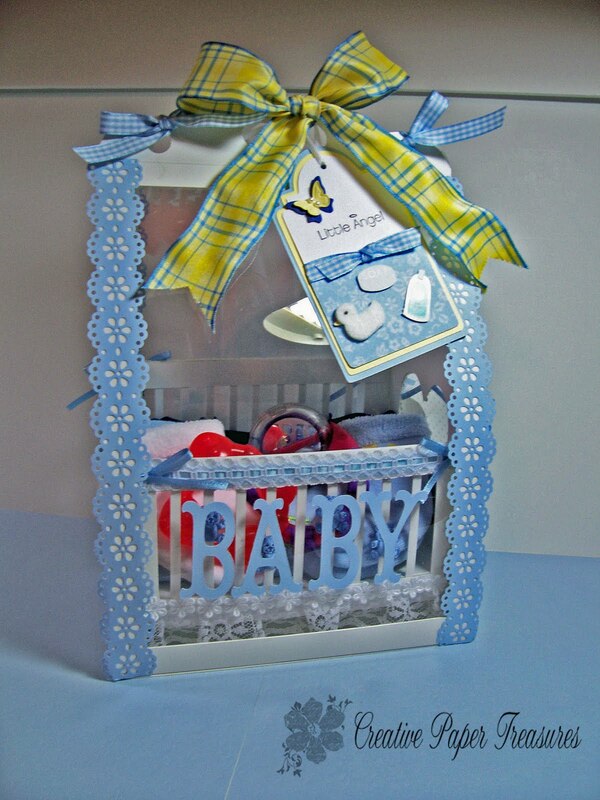 I hope the Mother-to-be likes receiving this gift filled with all the goodies for her baby. Cardstock: Bashful Blue, Brilliant Blue (butterfly on tag), So Saffron (butterfly & tag), Whisper White, Bashful Blue DSP, Clearly Thanks window sheet. I hope you liked todays project and it inspired and gets your creative juices flowing. Let me know if you liked this project by leaving me a comment. I welcome any and all suggestions. 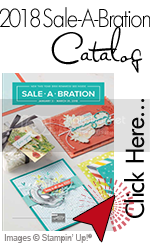 You commented on Stampin' Connection that you got the pattern from a third party and more on your blog. I don't see a link to the third party for the pattern here. I'm interested in the pattern. I absolutely love the cribs they are gorgeous!